It is now time within our society to open a Public Debate Platform, on whether government agencies such as the Bureau of Land Management (BLM) should have open-expenditure on America’s tax payer money. . . 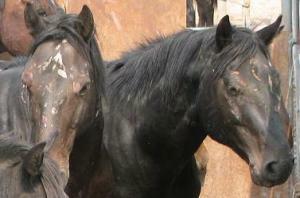 Especially when considered — is the fact that BLM’s operations always controversial, most often incompetent, and within many occasions criminal activity involved — The Wild Horse Herd Roundups’ an excellent example of all of the previous, and should, under all intents and purpose, be shut down immediately!